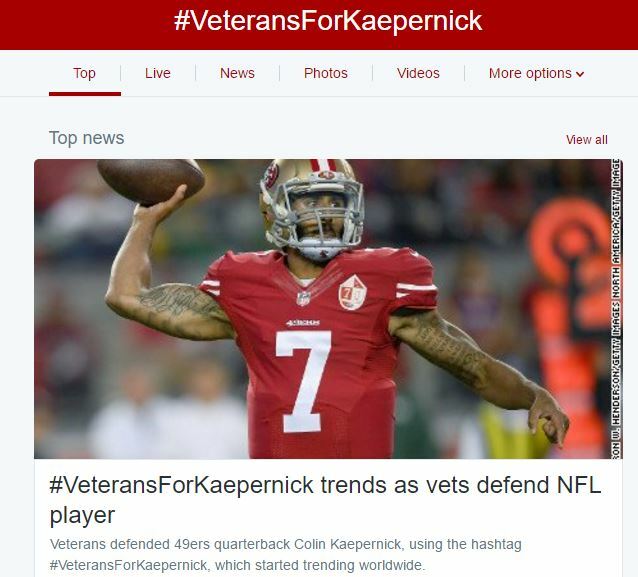 ABC News said, “#VeteransforKaepernick goes viral on Twitter” and it was actually appeared to be a neutral article (good for them). 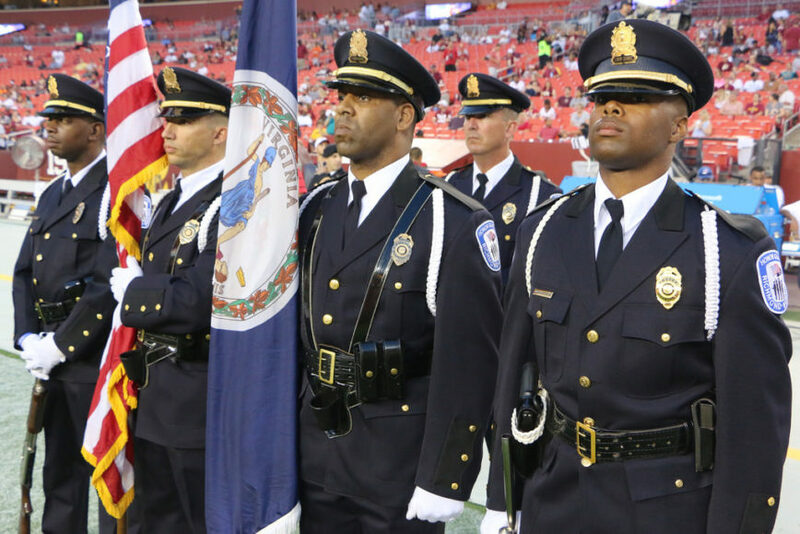 CBS News’ video, which was entitled, “Veterans Support Colin Kaepernick for National Anthem Protest,” was fair and briefly outlined the social media support campaign. CNN’s headline read, “Vets for Kaepernick,” and talked about how a social media hashtag #VeteransforKaepernick voiced veterans’ support for the embattled and controversial NFL quarterback Colin Kaepernick. 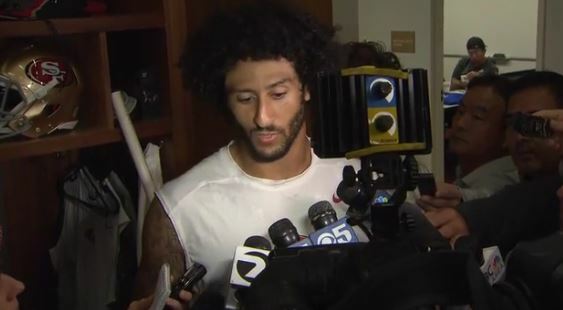 Kaepernick sat down in protest during the playing of the national anthem during a preseason football game and said he will continue the practice to highlight Black Lives Matter rhetoric. Of the various criticisms, some have accused Kaepernick of disrespecting the U.S. veterans — something the NFL star has emphatically said was not his intention.